Is there a connection between the Eye of God from Fullmetal Alchemist: Brotherhood and the Rinnegan from Naruto? Both related to godly powers. Both related to life and death. Is there a mythological or conceptual connection between the two? Is one based on the other? The repeating cycle of birth, life, death and rebirth (reincarnation) within Hinduism, Buddhism, Bön, Jainism, and Yoga. This represents both the Six Paths of Pain (also Rinne is the Japanese Name for Samsāra) and the "one is all, all is one"-thing in FMA (as seen in episode 12 of the 2009-anime). Not at all, both are different series in different scenarios. Anything related is because of the different meanings of our cultures that come from ancient myths. Not the answer you're looking for? Browse other questions tagged naruto fullmetal-alchemist-series or ask your own question. 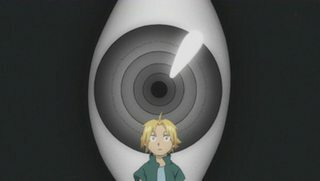 Is there any relation between the images in Ouran High School Host Club and Fullmetal Alchemist? How come Alphonse can do alchemy in Fullmetal Alchemist: Brotherhood? 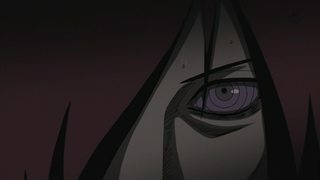 Which episode of Fullmetal Alchemist Brotherhood had a lot of transitions with a black screen and white text?